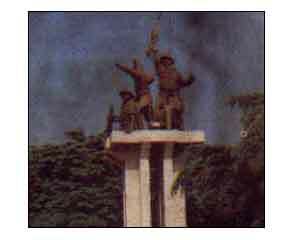 On 28th - 30th October 1945 around the Wonokromo Bridge and the Surabaya zoo (South Surabaya) , there was a battle between Surabaya Troup and Sekutu troup, which leaded by Brig. General Mallaby. It happens because the Surabaya Troup try to stop the allied. So there are many Indonesian victims.